It is 5-inch display with 1080 x 1920 pixels resolution, has 13 Megapixel rear camera, with quad-core 1.5GHz processor and 2GB of RAM. 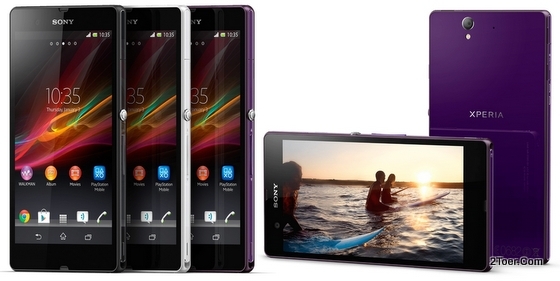 Those are the specifications of Sony Xperia Z, but Sony Xperia ZL either. So, what the differences between these two smartphone? Actually the big difference on this two is on the acquired of IP57 certified. The Xperia Z is dust and water resistant, but this ability didn't embedded on Xperia ZL. Therefore don't ever try to pour water on Xperia ZL. 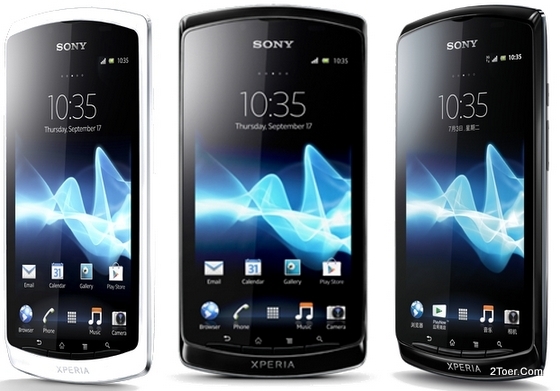 There are three version of Sony Xperia ZL: C6502, C6503 and C6506. These version determine the supported data network technology of the device. Special for C6506 and C6503, these versions support for 4G LTE data networks. The Sony Xperia ZL runs on Android Jelly Bean version 4.1.2 and equipped with Qualcomm MDM9215M / APQ8064 chipset with Adreno 320 GPU and 16GB internal memory. This phone is thicker and heavier than Xperia Z but had smaller body size: 131.6 x 69.3 x 9.8 millimeter with 151 grams weight (5.33 ounces). The battery is non-removable type with a larger capacity at 2370 mAh Li-ion battery. That's why even though there is a tutorial for Inserting the memory card, but no tutorial on how you can replace or assemble the battery on this phone. This is the phone that had made Samsung as the world leader of Android Smartphone. 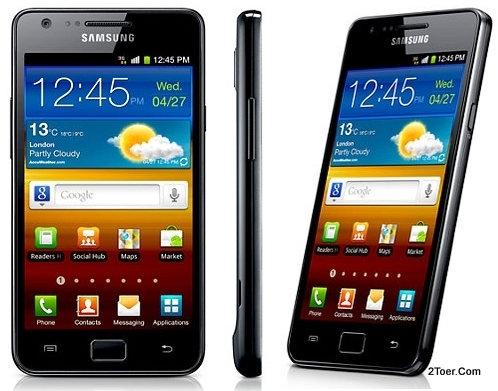 Yes, Samsung Galaxy S II GT I9100 is one of the reason behind the success of Galaxy Series Device. Without Galaxy S2, there would be no Samsung Galaxy S3 with its success story. Using Super AMOLED Plus capacitive touchscreen, the Galaxy S2 comes with 4.3 inches display with 480 x 800 resolution. The display is also protected by Corning Gorilla Glass. The phone runs on Android Gingerbread version 2.3.4 but there are already available for the upgrade via Over the Air to Ice Cream Sandwich ICS V4.0.4 and some region already get Jelly Bean version 4.1. The chipset uses Exynos to work with 1.2GHz cual-core Cortex-A9 processor and Mali-400MP GPU. The RAM is installed with 1GB RAM (some version available for 2GB) with internal memory optional for 32GB and 16GB. Because you might here in the will on find how to insert the microSD card, that also means that the Samsung GT I9100 provides external memory card slot. It's up to 32GB. You can also use the tutorial below for other variants of SGS2, such as SGH-I777, SGH-I727, SGH-I927 for AT&T, SPH-D710 for Sprint, SGH-T989 for T-Mobile, SCH-R760 for US Cellular, including for Tesstra carrier, Vodafone, Telus, Roger, Bell, and more. For your information, the phone which released on July, 2011 and has 4.0-inch Super AMOLED capacitive touchscreen is also known as Samsung Galaxy S 2011 Edition. Without any question, you had already knew the answer why this Samsung Galaxy S Plus GT I9001 (official name) is known for that name. The 4.0" display is protected by Corning Gorilla Glass and has 480 x 800 pixels resolution (achieve 233 ppi). The device was specially designed for GSM data network technology: support 3G HSDPA up to 14.4, GPRS, and EDGE. 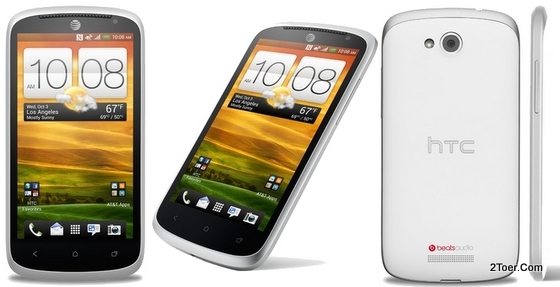 Wit TouchWiz 3.0 User Interface, this 119 grams smartphone runs on Android Gingerbread OS for version 2.3. Depend on region and market, relating with internal memory storage, the Galaxy S Plus available in two versions: 8GB and 16GB. The phone is claimed to be able up to 7 hours talk time under 3G network. This ability is acquired from removable Li-ion type battery with 1650 mAh capacity. For the processor, GT I9001 has 1.4GH Scorion, Qualcomm MSM8255T Snapdragon as its chipset, Adreno 205 as the GPU and has 512MB of RAM. The good news is, this phone provides dual camera functions: 5MP camera on the rear with autofocus, geo-tagging, touch focus for photography purpose (Video Record up to 720p@30fps) and VGA camera for video calling. 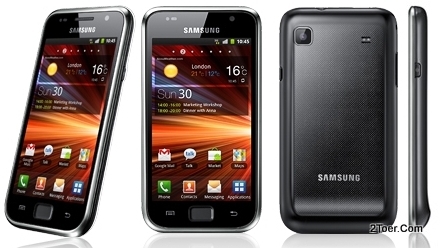 This is the first generation of Galaxy Ace that we previously had written for the second generation aka Samsung Galaxy Ace 2. The phone with 3.5-inch TFT capacitive touchscreen with touch bar form factor design (means there is no physical keypad/keyboard) also known as Samsung Galaxy S5830, Samsung Galaxy Ace La Fleur, or Samsung Galaxy Ace Hugo Boss. The touchscreen display has 320 x 480 pixels resolution and is coated with Corning Gorilla Glass for scratch protection. Galaxy Ace runs on Android Gingerbread version 2.3 OS. The power electricity come from Li-ion battery type with 1350 mAh capacity. The processor installed on this device has 800 MHz speed ARM 11 with Adreno 200 GPU and Qualcomm MSM7227 chipset. The internal memory only has 158MB but it included with microSD card 2GB on its external memory slot (can be expanded up to 32GB). For the RAM it has 278MB. The phone is single camera only which has 5MP resolution along with LED flash. Most of newest Smartphone by Sony is designed with IP57 certified. It means that the device is dust and water resistant. So do the Sony Xperia Z. That's why you don't have to worry when water splash to your Xperia Z because the water resistant ability can conquer 1 meter depth pressure of water for almost 30 minutes. There are two version that we wanna discuss for Xperia Z; Sony Xperia C6602 and Sony Xperia C6603. The difference between those two only in Data network technology. The C6603 support 4G LTE with three band 3G HSDPA, the C6602 only support five band 3G HSDPA without LTE. The best thing about the Xperia Z is that it uses 5.0-inch touchscreen TFT capacitive display with 1080 x 1920 pixels resolution. This beyond HD resolution, that is why the phone gain 441 ppi pixel density. Of course the display is scratch resistant and shatter proof. Jelly Bean 4.1.2 OS is the chosen Android Operating system runs on this device. It's planned for upgrade up to 4.2 version. The Processor has 1.5GHz quad-core Krait speed with Qualcomm MDM9215M / APQ8064 chipset and Adreno 320 GPU. For the RAM it uses 2GB RAM with 16GB internal memory. There is expandable slot. The battery is non-removable type with Li-ion 2330 mAh capacity. LG Optimus G LS970 is special touch bar android smartphone with 4.7-inch display for Sprint carrier. Along with Sprint this phone supports for 4G LTE 1900 Mhz. This LG LS970 also familiar known as LG Eclipse 4G LTE. The 4.7" display uses True HD-IPS+ LCD capacitive touchscreen with 768 x 1280 pixels resolution. It makes the Optimus G has 318 ppi pixel density. This absolutely a good feature. Another good one is the 13Megapixel Rear camera with capability on recording HD 1080p@30vps video along with LED video light. The phone currently uses Android Ice Cream Sandwich for version 4.0. Not sure whether an upgrade to Jelly Bean is available or not. The chipset, uses Qualcomm Snapdragon S4 APQ8064 with 1.5GHz quad-core processor, and Adreno 320 as GPU. There is no microSD card slot for external expandable memory but it has 32GB internal memory storage with 2GB of RAM. You might only find this Samsung ATIV Odyssey on US region at this time. 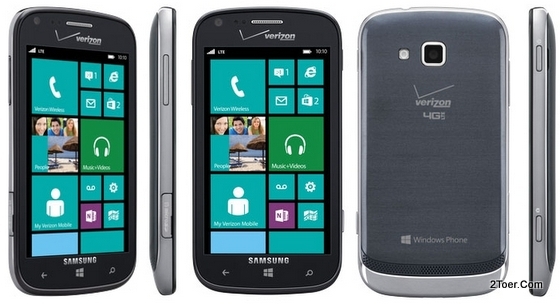 It's the newest Windows Phone 8 powered Smartphone by Samsung which is designed special for Verizon Wireless Mobile Carrier. Along with the Verizon provider, the Samsung SCH I930 (series name of Ativ Odyssey) supports for CDMA and GSM (depend of the package of Verizon) and als 4G LTE 700 MHz Class 13. The phone's design uses 4.0-inch Super AMOLED capacitive touchscreen display at 480 x 800 pixels resolution. 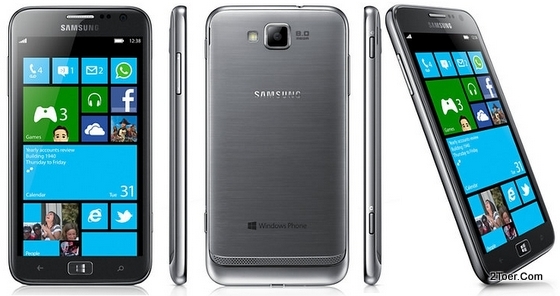 In Global version you might know Samsung Galaxy Ativ S, the same WP 8 OS runs also on this device. Wanna have Android phone but you don't want to have a high-end Smartphone (for example the Samsung Galaxy S III) cause you don't have enough budget in your wallet ? Try Samsung Galaxy Ace 2 GT I8160. 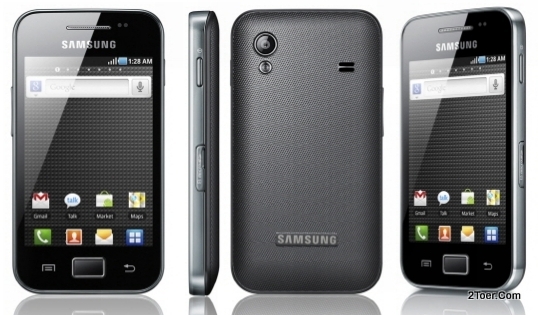 Known as Samsung Galaxy Ace II X S7560M in Canada, this device uses PLS TFT capacitive touschscreen at 3.8 inches display. The resolution for this 3.8" touch-bar phone is 480 x 800 pixels resolution with 16M colors. Although the Operating System came 1 years ago (the day the Galaxy Ace II was released, February, 2012) only uses Gingerbread android v2.3, but there is a guarantee that the GT I8190 will be available for Android version 4.1 Jelly Bean Operating System upgrade. For the processor, the Galaxy Ace 2 (two II) is installed with dual-core 800MHz CPU, with NovaThor U8500 chipset and Mali-400 GPU. The RAM usus 768MB capacity with 4GB internal memory storage. Do not worry if the space for your data isn't enough, there is 32GB microSD slot (maximum) ready for you. The correct writing of this Sony MT27 is sola instead of Sola (with big S letter), but that's not a big deal, is it? 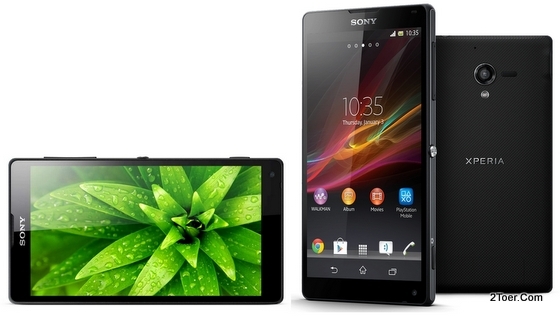 Sony Xperia sola MT27 is a phone with 3.7-inch display that equipped with ability of Floating Touch Display. Although the LED-backlit LCD touchscreen display only support for 4 fingers multitouch. The resolution for this display is 480 x 854 pixels and has 16M colors. Sony Xperia S LT26 is an Android phone with 4.3-inch LED backlit LCD Capacitive touchscreen display. The phone's display which has 16M colors and 720 x 1280 pixels resolution supports multitouch input up to 10 fingers and it's also protected with scratch resistant glass. 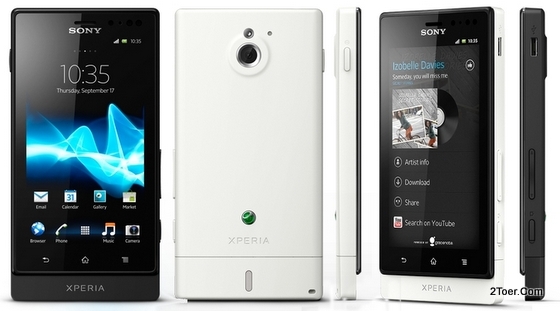 FYI, Sony Xperia S in some region also known as Sony Ericsson Xperia Nozomi or Sony Arch HD. If you bought this phone at this day (February 2013), you might directly ask for the upgrade version of its Android OS to Ice Cream Sandwich version 4.0.4 for the first release it uses Gingerbread). There is a plan that the upgrade version for Jelly Bean Android v4.1 would also available. The Xperia S LT26 has 12MP camera, powered with dual-core 1.5GHz processor speed with Adreno 220 GPU and Qualcomm MSM8260 Snapdragon chipset. The RAM capacity is 1GB and for the built-in memory its has 32GB. No external storage slot though. 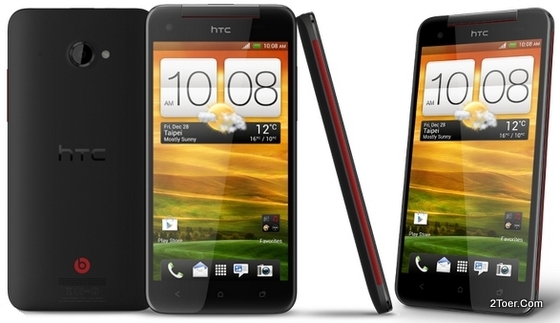 You might find that this phone has the same design, same specs, same look with HTC Deluxe. 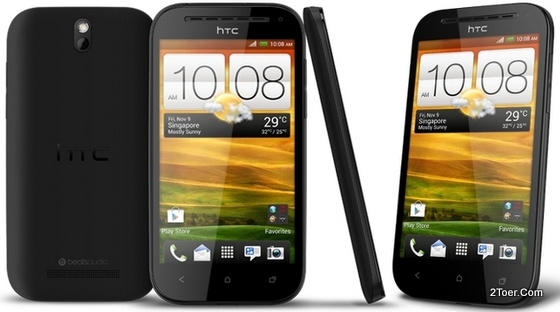 The fact is, HTC Butterfly is the same phone of HTC Deluxe; Deluxe is another name of this phone. Speaking of the hardware and design which are used on this phone, this HTC Butterfly is one of the new phone with powerful specs and performance. The 441 ppi pixel density on 5-inch Super LCD3 capacitive touchscreen (with 1080 x 1920 pixels resolution), polished with Corning Gorilla Galss 2 are the prove from this phone. The powerful quad-core 1.5GHz Krait processor, Qualcomm S4 chipset, Adreno 320 GPU, 2GB of RAM, Android Jelly Bean 4.1 version, are also the "things" that make this HTC Butterfly is so powerful. The Full HD Display also equipped with powerful 8 Megapixel Camera that can record HD 1080p@30fps video with LED Flash and BSI sensor. The front camera even can be used for 1080p video chat (video calling with 2.1 Megapixel Camera).